Arrow Sewing Cabinets: Wow! What a Week! Thanks to all of you, we met Hether's challenge and hit 5500 likes before Saturday! 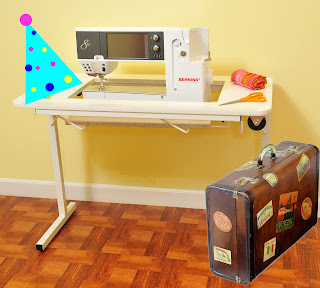 That means that we can send our wonderful Gidget II sewing table to not one, but TWO lucky folks! Gidget II has her party hat on and her suitcase packed! She's ready to go! 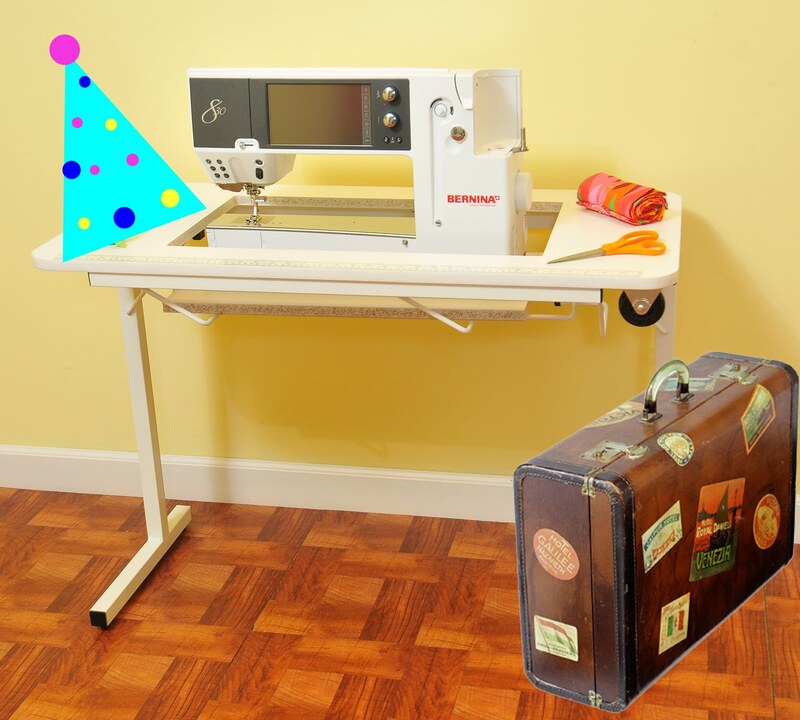 Party hat, suitcase, and sewing machine not included, of course! PLUS, we're sending a Gidget II to the winners' favorite quilting/sewing store! That's a total of four Gidgets that we're giving away! Congrats! I hope to win one soon as well! Congrats to you both ...I am so jealous. I am sure I will win one next week. Use the Gidget II in good health. Congrats!! I'm sure you will enjoy them!! Congrats Nancy and Kelly! I am sure you are jumping for joy!!!! Way to go Arrow - congrats Ladies!!! Yay! Congrats to the ladies! Way to go! Congrats on the win. What an awesome win it is. Congratulations to both of the lucky winners!! Have lots of fun with your prizes. Hope you are able to put them to lots of good use!! Congrats to the winners and thanks to Arrow for being so generous. Hoping to win one myself one day! Happy Sewing Everyone!